Twice a year we have found an opportunity to serve a very special meal at the post. This time it is the upcoming dedication of our new post home site, pre-construction phase. Our Steak and Salmon “Surf and Turf” night is returning with the addition of a veggie plate for those with a special diet. 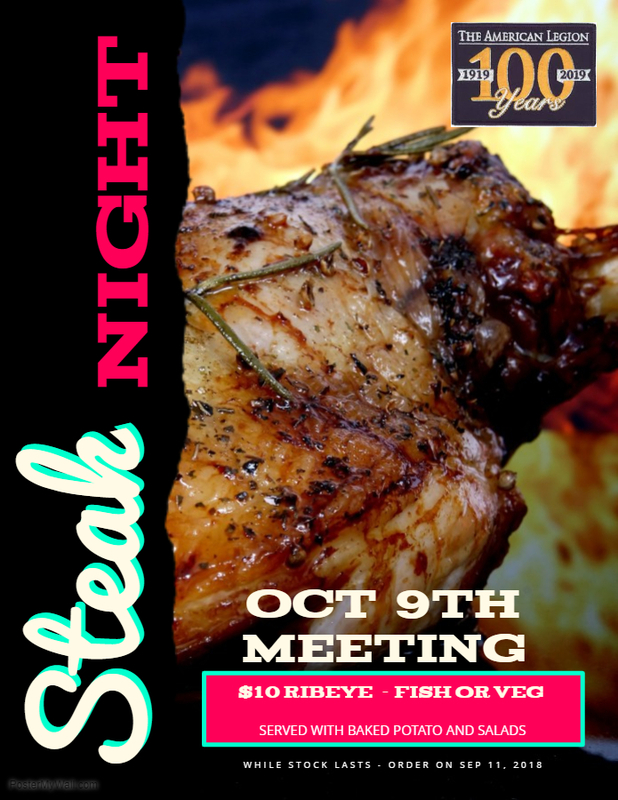 You can sign up for the meal of your choice at the September Post 6 Meeting on Tuesday, Sep 11th. Cost? Just $10 per person for members and guests.